Master Sgt. 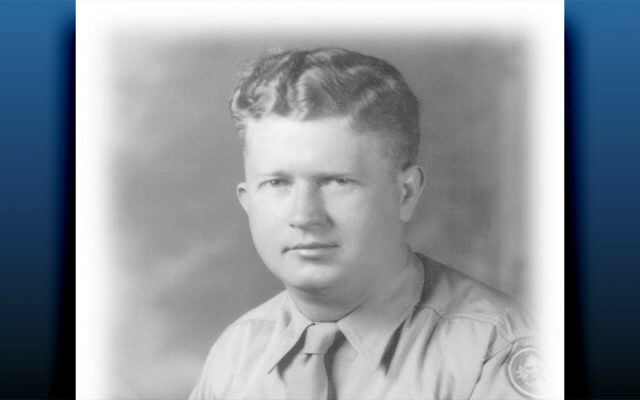 Roddie Edmonds never talked about his experiences as a prisoner of war during World War II. Roddie was captured during the Battle of the Bulge, survived an arduous march through frozen terrain, and was interned for nearly 100 days at Stalag IXA, a POW camp near Ziegenhain, Germany. When Roddie died in 1985, Chris, now a Baptist pastor, inherited his father’s war diaries. The books are a chronological record of POW camp life. Among other anecdotes, it detailed plans for a restaurant that Roddie and three of his compatriots had hoped to open after the war. Now that his father’s wartime stories are known, Chris said his life has been “turned upside down.” The Jewish Foundation for the Righteous, an organization that identifies non-Jewish rescuers of Holocaust survivors and pays tribute to their courage, honored Roddie’s memory on November 28 with the Yehi Ohr Award during the foundation’s annual dinner at the New York City Public Library. Roddie already had been recognized by Yad Vashem—the state of Israel’s official Holocaust memorial and research institute—as “Righteous Among the Nations,” the Israeli name for non-Jewish saviors of Jews during the Holocaust. For Chris, there initially was an element of mystery to his father’s writings. He could only guess what the faded “ticks” in the margins of the diary entries referred to. “Jewish friends moved out,” “Dogs,” “Before the Commander,” “Scottish Chaplain,” read several of the startling, undated notes. Answers to Chris’s questions about his father’s war record finally began trickling in when he discovered a New York Times article published in late 2008, in which Master Sgt. Roddie Edmonds is mentioned. The article rehashed the difficulty that disgraced former President Richard Nixon experienced in the 1970s, when he sought a place to live in New York and found that most prospective neighbors despised him. Oddly enough, a lifelong Democrat named Lester Tanner, although fundamentally opposed to the former Republican president’s policies, found space in his heart to forgive Nixon, and offered to sell him his house. In the 2008 article, Tanner reflects on how his experiences as a Jewish prisoner of war during World War II, and specifically the bravery of Roddie Edmonds, saved his life and inspired his worldview. Several years passed before Chris Edmonds managed to track Tanner down. “Not a day goes by that I don’t thank Roddie,” Tanner told Chris during their 2013 meeting. The portrait of Roddie that has emerged from their subsequent conversations, as well as from meetings with other associated veterans, has unlocked the stories behind the mysterious notes in the margins of Roddie’s diary. “Before the Commander,” it turns out, refers to a display of extraordinary bravery that saved the lives of nearly 200 American-Jewish POWs. In January 1945, Tanner told Chris, “all the Jewish POWs in Stalag IXA were ordered to report to the parade ground.” Since Roddie was the highest-ranking non-commissioned officer at the camp, he had assumed command of the prisoners. Unwilling to sell out his fellow soldiers, Roddie ordered his men, both Jews and non-Jews, to report in solidarity. The American POWs dutifully followed his order. The sight of all the camp’s inmates standing at attention in front of the barracks stunned and infuriated the German officer, Maj. Siegmann, who had issued the order. “They cannot all be Jews!” he barked. “We are all Jews,” Roddie replied. Blinded by rage, Siegmann pointed his pistol at Roddie’s head. “Your father didn’t waiver,” Tanner recalled when speaking to Chris. Roddie told the German commander, according to “the Geneva Convention, we only have to give our name, rank and serial number. If you shoot me, you’ll have to shoot us all, and when we win the war you will be tried for war crimes.” At this point, Tanner remembered that the German commander “turned white as a ghost. Then he began to tremble.” Eventually, Siegmann lowered his weapon and retreated from the scene. In the final days of the war, the POWs self-liberated the camp and rejoined the approaching American army. “Over the years, we have worked with and honored many Holocaust survivors and their rescuers, but the story of Master Sgt. 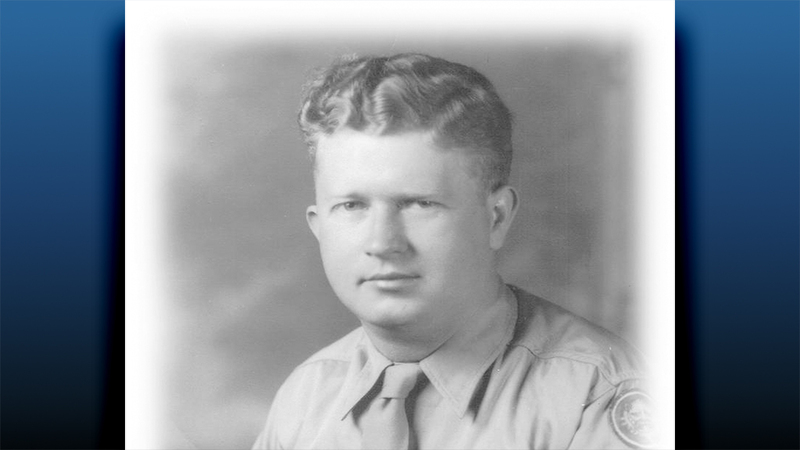 Roddie Edmonds saving 200 Jewish-American soldiers truly distinguishes the man and leader he was,” said Harvey Schulweis, chairman of the JFR foundation, in a statement on the posthumous honor for Roddie. Chris recounted the unexpected call he received from Stanlee Stahl, JFR’s executive vice president. “Is this the real Chris Edmonds?” she asked. Once Chris confirmed his identity, he embarked on an adventure he had previously only dreamed about. JFR made it possible for Chris to travel to Germany and retrace his father’s wartime path. “The more I learn, the more alive [Roddie’s] diaries become,” Chris said. Chris also has observed a change in his mission as a Baptist pastor. “I’m an ambassador of the Christian faith to the Jewish world and I’m also an ambassador from the Jewish world to the Christian world,” he said, reflecting on the close relationships he has forged with the three 90-year-old Jewish veterans who helped him piece together Roddie’s story. While Chris regrets that his father never told him about his heroic deeds and couldn’t be honored during his lifetime, he knows that a powerful set of morals resonate in the diaries Roddie left behind.